The U.S. Marine Corps is renowned as the world’s largest elite military force. It enjoys a fearsome reputation and matchless battle record. 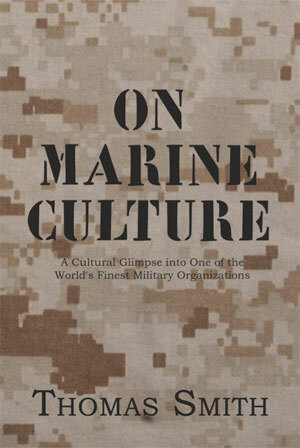 With On Marine Culture, Thomas Smith presents an in-depth examination on the culture that has established and maintained the Marine Corps’ phenomenal reputation and battlefield supremacy. Moreover, Smith shows how the Marine Corps has continued to produce extraordinary warrior-leaders day after day and year after year. This book shows that this “production of excellence” is principally attributed to the culture, not training and equipment and physical fitness. Most of the world’s armies are similarly trained and equipped but do not have the exalted military reputation and record of the Marine Corps.